Lucy Walters stars as Ann in "Here Alone"
The post-apocalyptic thriller "Here Alone" and the real-life drama of ex-convicts in "The Return" have won Tribeca Film Festival's Audience Awards, with "Children of the Mountain" and "Midsummer in Newtown" also acclaimed. Find their trailers in our quick explainer. Hardened loner Ann, the optimistic but hobbled Chris, and fearful teen Olivia meet in a country ravaged by a viral epidemic, a country whose human population are either part of the violent and crazed infected, or living the grueling lives of salvagers and foragers. 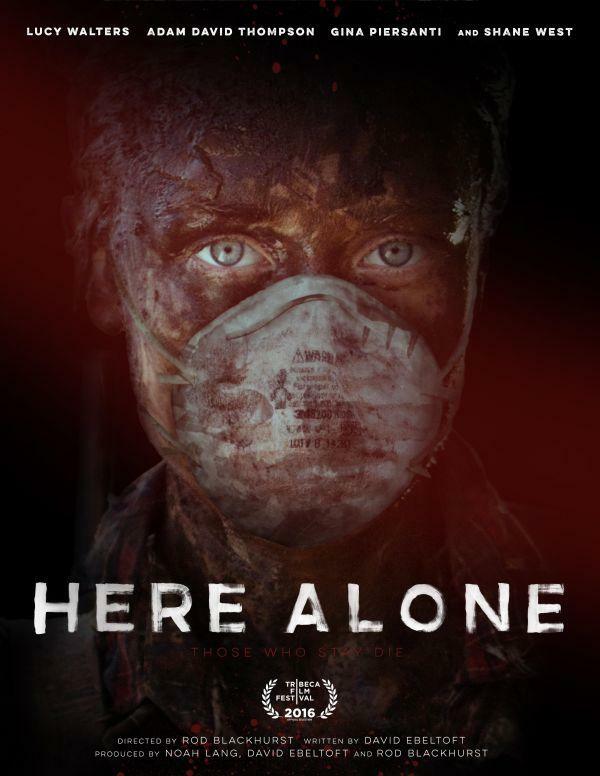 Making his directorial feature length debut with "Here Alone," Rod Blackhurst had previously worked with writer David Ebeltoft on 2013 short "Alone Time," while many of his leads had previously won independent film festival nominations for performances in previous projects. "Here Alone" won Tribeca 2016's Narrative Feature Audience Award. Integrating into society is never easy, much less so for ex-convicts released from prison. When the state of California repealed an incarceration rule that had condemned thousands of convicts to life imprisonment, the prospect of release beckons for the subjects of "The Return." Kelly Duane de la Vega and Katie Galloway, already recognized with four Emmy nominations for other work, won the Audience Award for Documentary at Tribeca. Blamed for her child's cleft lip and cerebral palsy, and rejected by the neighbor with whom she had an affair, Ghanaian mother Essuman would do anything to heal her son and sets forth on a troubled journey that explores cultural attitudes to women and children. Priscilla Ananay had already netted Tribeca's Best New Narrative Director accolade for her fact-based drama before it was named the Audience Awards' runner up. Charting the recovery process of Sandy Hook Elementary School in the years after 2012's tragic events, this documentary runner-up follows staff and students as they prepare for a pop musical adaptation of Shakespeare play "A Midsummer Night's Dream." Lloyd Kramer had previously been nominated for two Directors Guild of America awards.